Chinese coworking and venture capital firm DayDayUp is opening an accelerator in Tel Aviv, the company announced Tuesday. The company's program will be located at the heart of Tel Aviv, in a 14,000 square meters space belonging to Israeli co-working company Be All. Over the past few years, Israel and China have been strengthening their commercial ties with joint government initiatives and agreements. Later this year, Chinese vice president Wang Qishan is planned to visit Israel in his role as the Chinese head of the China-Israel Joint Committee on Innovation Cooperation. Technological ties have also been on the rise, with a growing number of Chinese companies looking to Israel for investments and acquisitions. DayDayUp offers accelerator programs for companies looking to break into the Chinese market, providing business advice and facilitating meetings with investors and local businesses and government organizations. Major investors include Alibaba Group Holdings Ltd. and Xiaomi Technology Co Ltd. DayDayUp co-founder and CEO Bo Yiqun is also a founder of Santa Clara-based GWC, an invitation-only investor group for mobile company executives. 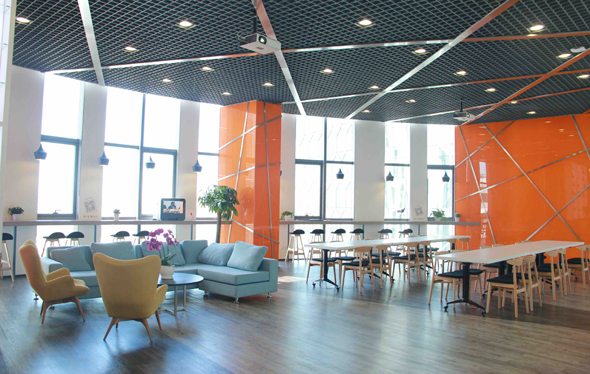 DayDayUp already runs a program for Israeli startups in Beijing in collaboration with the Israeli Ministry of Economy and the Israel Innovation Authority, the government's tech investment arm.